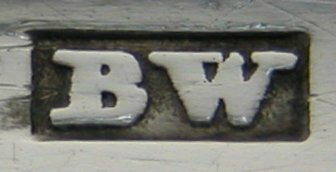 Bowyer Walker was a large-worker with a mark registered on 10th April 1735. He is also recorded by Heal as a Plate-worker. These sugar tongs are unlikely to be by him as their earliest date is 1785, 50 years after he registered his mark and he was a large-worker. Benjamin West registered his mark on 14th January 1738, again as a large-worker. It is also unlikely to be him for the same reasons as above. Brook Walker registered marks as a buckle-maker in 1779 and 1788. His marks are recorded as being in a rectangular punch with cut corners. 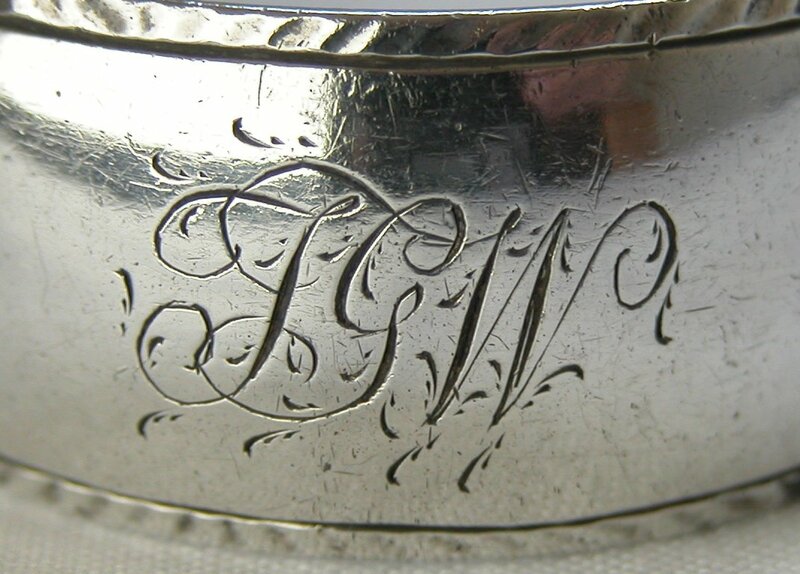 Benjamin Wilson registered marks as a buckle-maker in 1785 and 1787. His marks were in a rectangular punch without cut corners. 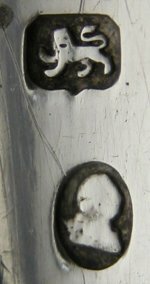 From this logic, it would seem the most likely maker of these tongs, dated between July 1785 and May 1791, is Benjamin Wilson.